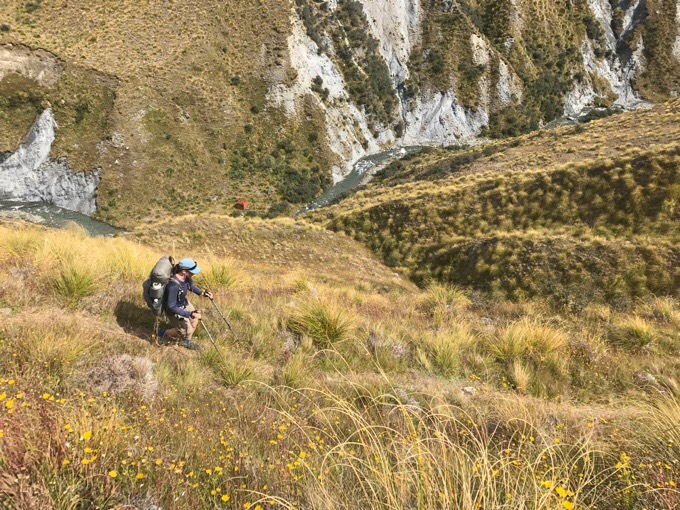 *Note: I’ve had many inquiries as to how to help Christophe who had his pack stolen around the Arthur’s Pass area a week or so ago. I now have his email to contact him or donate through PayPal, so email me erinsaver@walkingwithwired if you’d like that info. 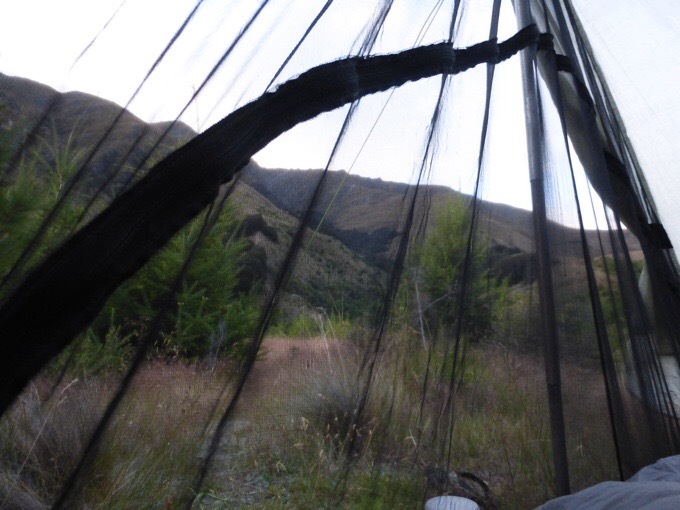 He is currently in the Arthur’s Pass area hoping to get work to pay for the new gear and get back on to finish the TA. You all are awesome! A recent photo of Christophe. Today was day 100! Griggs and I both started the same day which is pretty cool, so it is day 100 for both of us. There was no need to make any bonus challenge to make today special. The trail did that all on its own. 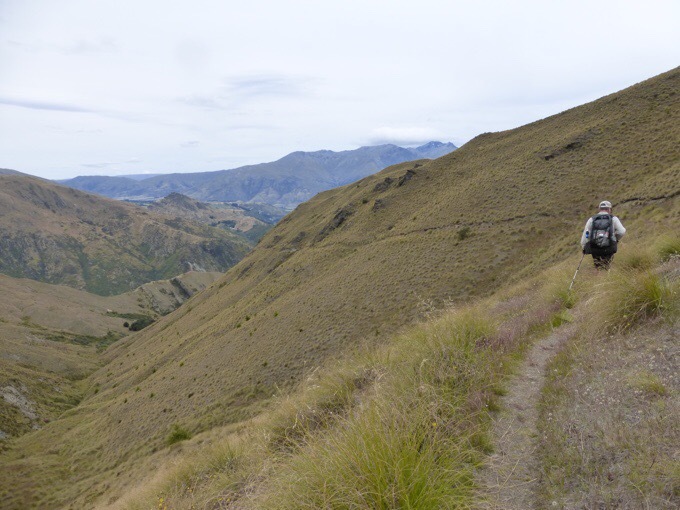 We are on the Motatapu Track, which has a ton of elevation loss/gain over a short distance. Given the camping options, it was either a short day or a pretty long and challenging one. We both enjoy a challenge, so we decided to aim for the long one and see if we could make it. 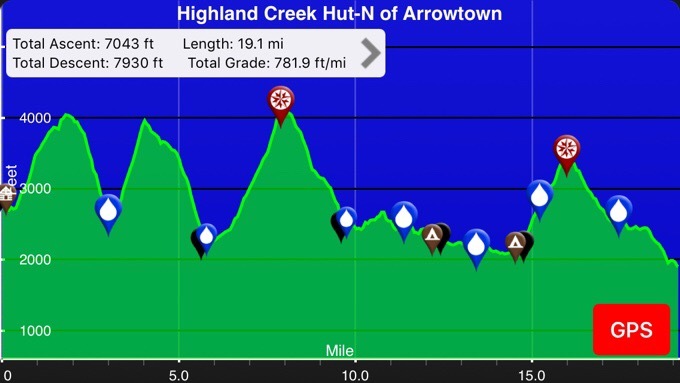 It would be 19mi/30km with 7,043ft/2,147m ascent and 7,930ft/2,413m descent. Relatively short in length, but definitely the most elevation gain/loss we’ve done in one day on this trail. 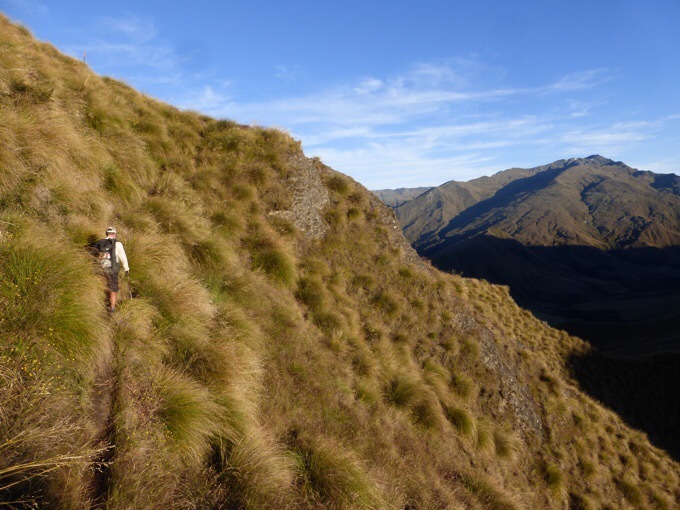 Plus with tussock and sidling, there was no knowing how slow the terrain might be. We packed up and were left the hut by 6:45am, before anyone else woke up. The rest of the people at the hut seem to be taking the shorter option and having an also strenuous, but shorter day. That is the preferred strategy for most that do this section. The morning walking was great as we headed UP. I feel like today was a lot of the same with great views and ups and downs. Some ridge walking and mostly clear trail that we could get a good pace on. There were even graded switchbacks in some places! The cool thing about today was that it was split into thirds. Each third had about the same distance of 6mi/10km, but the estimated time went down for each one, so they got consecutively easier. I’m giving times here because I know others find it helpful when gauging off another blog and we found little references on other TA blogs as to timing in this section for those wanting to attempt a longer day. The estimates tend to be quite conservative, but we have trail legs now, so we tend to be 20-40% faster than the book time. It was great to get the first section to Roses Hut done while we had cooler morning air and fresh legs. It was estimated to take 5-6hrs, and we made it in 3:18, which was a great way to start the day. After a break at the hut, we headed towards the old abandoned gold mining town of Macetown. It was estimated to take 4-5hrs and we did it in 2:31 (not counting the lunch break). In the middle of that stretch we stopped and had lunch next to Arrow River. We saw two other hikers that didn’t appear to be TA hikers during the day, but no others the rest of the day. 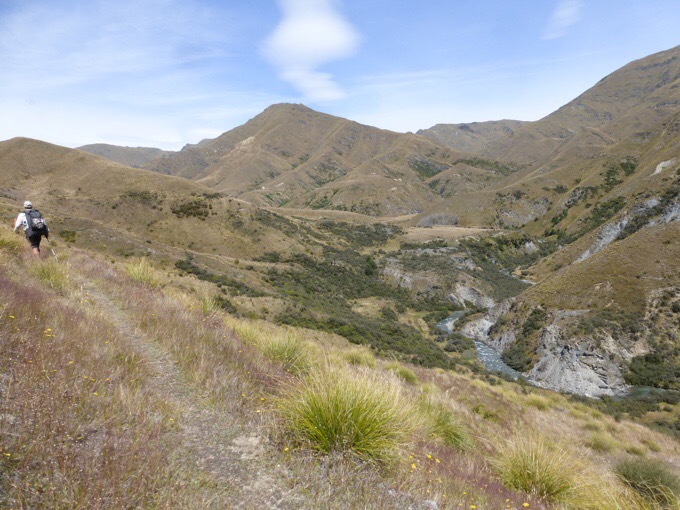 There is an option to follow Arrow River or take the track that sidles above the river. 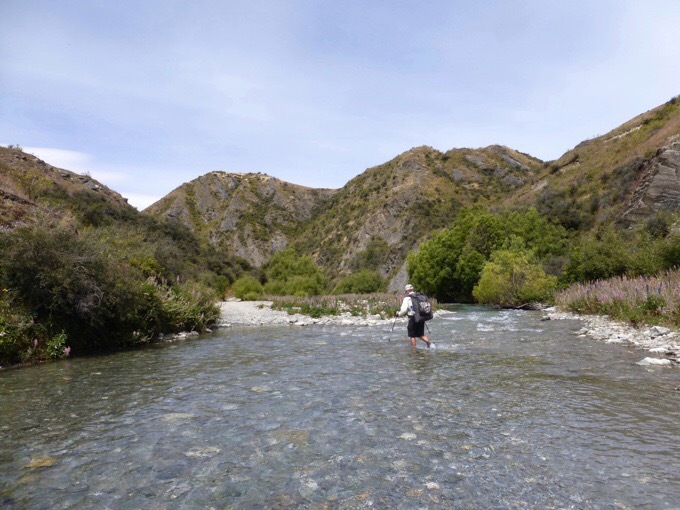 Some say the river is faster, but we’ve had our fill of days crossing a river in a valley, and chose to stick to the track. There was some brush and sidling to begin with, but then it benched out and was really cruisey. We feel like it would have been faster than staying down by the river. We got lucky on that choice! At the bottom, there was still some walking crossing the river many times, but it was enjoyable and quite shallow, so it felt really nice. We even came across a couple skinny-dipping that probably thought no one else would be out there. The final third had us doing one more big climb up and over Big Hill Saddle. My body was definitely glad it was the last up and down. The book time is estimated for 4-5hrs and we did 2:58. 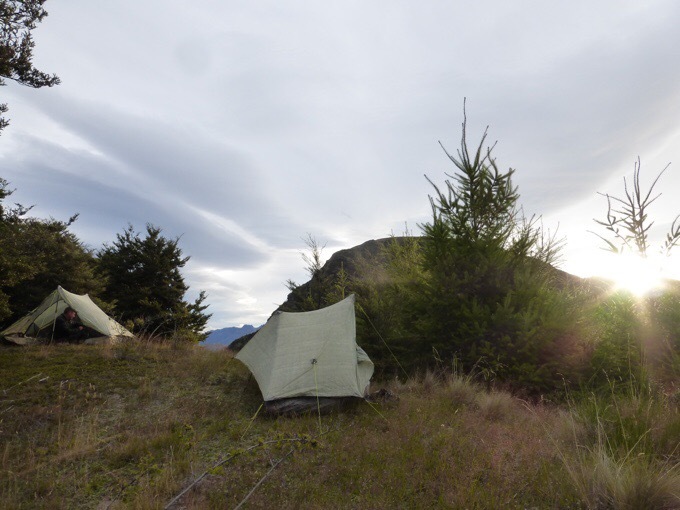 We were so early finishing the day that we would have liked to hike more to get closer to Queenstown, but ahead is a very residential area where there is no camping for the next 30km. 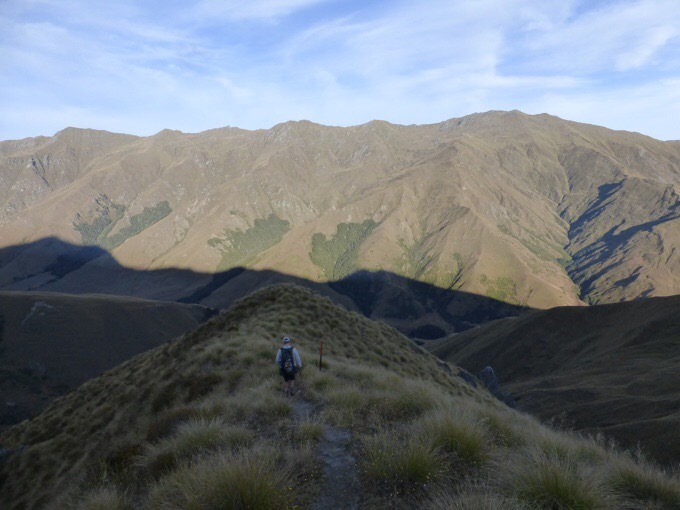 It was 4:45pm, and we found a great secluded spot over looking Arrowtown, so we called it a day. Whew, what a day! This positions us to get into Queenstown tomorrow and check into our hotel in the early afternoon hopefully before forecasted rain is to begin for two days. Again, we have managed to nail timing and thread that weather window. The front coming through will bring colder weather and rain for two days. As soon as we sat down at our campsite, we took an hour and a half to go over options for sidetrips and what to do over the next week or so. We looked at weather, and nothing looks good for two days, so we are accepting a double zero and realizing how fortunate we are to not have had this happen any time on this hike. Neither of us have had to take a zero for weather. It is weather that could be hiked through, but since these are great side trips, and we have time, we are choosing to wait it out. Here is our plan. We will arrive in Queenstown tomorrow. Then we have booked a bus to the next trail town of Te Anau where we will double zero the rainy days in a quieter, cheaper town. 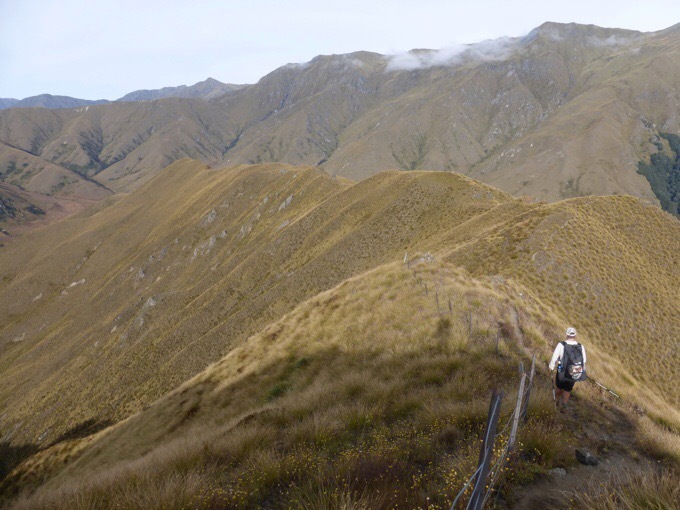 From that town is the launching point for the Kepler Track, one of New Zealand’s 9 Great Walks. There were actually openings for campsites, so we were able to book the Kepler for the two days before Becky’s birthday. 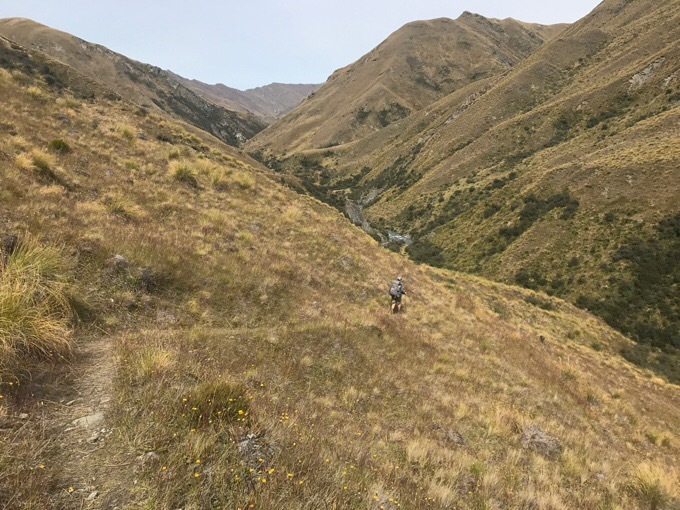 We will finish the Kepler on the 16th and have a bus booked back to Queenstown to then celebrate Becky’s birthday (with some kind of bungee or swing, eek!) on the 17th. From there we will see how weather looks (looking good for now!) and Griggs and I will hopefully be able to do the side trips around Mt Aspiring National Park that we couldn’t do when we went to Wanaka. 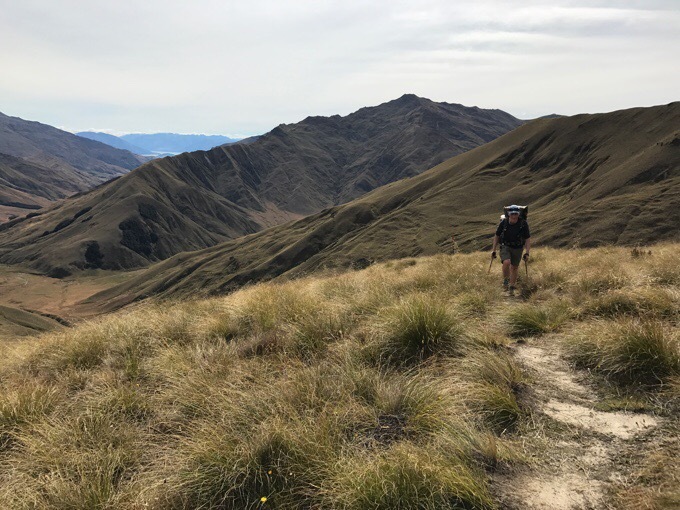 By the time I finish those side hikes, Becky and Tom should have worked their way down to Queenstown via the Te Araroa and we will do the last two weeks of the TA together. Griggs will be with us through the birthday celebration probably, but will wait to see how weather looks for anything after that in Mt Aspiring. He will most likely continue on the trail at a more steady pace once I join Becky and Tom at a more relaxed pace. He also had these side trips planned for after his hike. Since we are having fun hiking together, he is willing to take the double zero (he hardly ever zeros!) 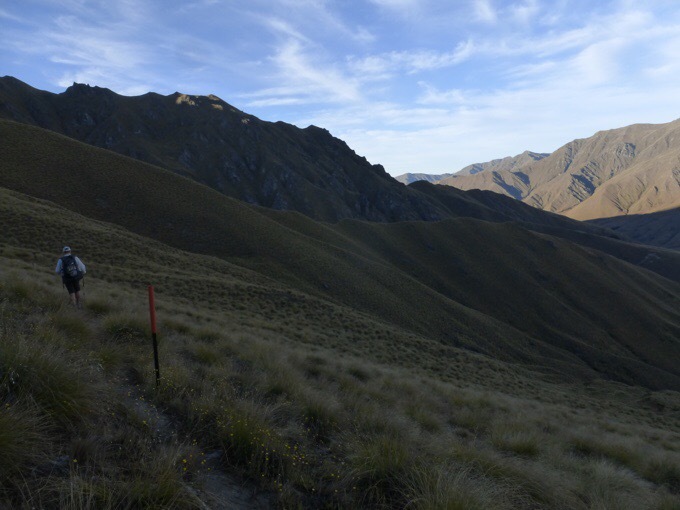 to do the Kepler Track and bday jump in Queenstown. He figured he wanted to do this stuff anyway and it’s more fun together, yay! The two of us are definitely on a roll hiking together, so I’m happy to keep that good mojo going. As for the double zeros, it’s going to be perfect for me to research Tasmania and get my itinerary down for that. I need to book things and flights for March/April. I’m open to suggestions if anyone has been there and has any. There isn’t one long hike there, so I’ll be doing shorter backpacking trips and touristy things. Exciting! Great Day 100! Congrats on the big 100. Sidling is a new word for me. Is it side hilling? If my bank account sidles, would this be a good thing? Hmm…I don’t think I’ll ever view sidling as a good thing again. I’ll add all this to the research. The photos are “perfectly” amazing today. The TA is redeeming itself! Sweet! I did that post while walking this morning and was sure there’d be mistakes! – The Penguin-Cradle track (4 days). But beware of some tricky sections (see photos at http://tasmania.bushwalk.com/forum/viewtopic.php?f=9&t=1079) and that there’s a lot of damage from floods mid last year). 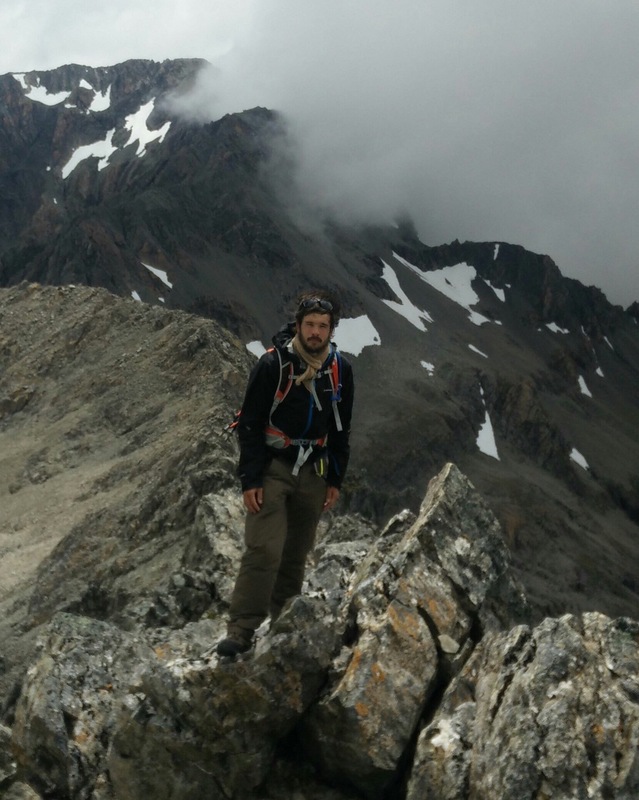 – The Overland Track (5 days), doing as many side trips as you can, including Cradle Mtn, Barn Bluff, Mt Ossa, Mt Pelion East, Mt Oakleigh, Pine Valley, The Labyrinth, The Acropolis, and possibly Mt Olympus. – Then head to Hobart (or New Norfolk) to restock, and make your way to the Gordon River Road, turning off and taking the Scotts Peak Road, either to Mt Anne (to do the circuit) or all the way to the dam. 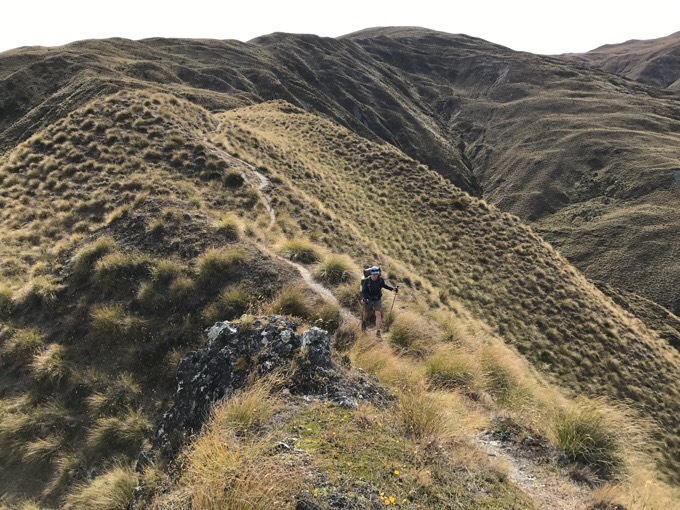 – The Mt Anne Circuit (3 to 4 days) is superb, but be warned about the vertical exposure encountered at a couple of spots (the Mt Anne climb and the Notch along Mt Lot). Even though you end up only a 7km road walk from the dam, you’ll probably need to return to Hobart to restock as the next bit involves carrying about 10 days of food. 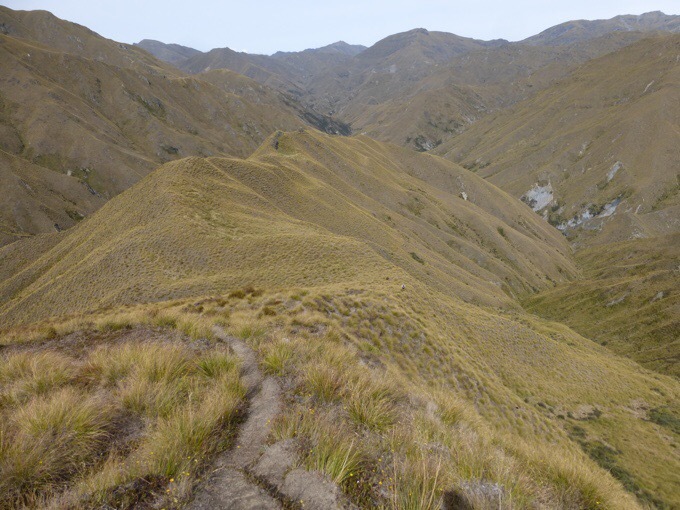 – The Port Davey track (about 4 days) from Scotts Peak Dam to Melaleuca. There is the alternative of flying to Melaleuca by light plane from Hobart. 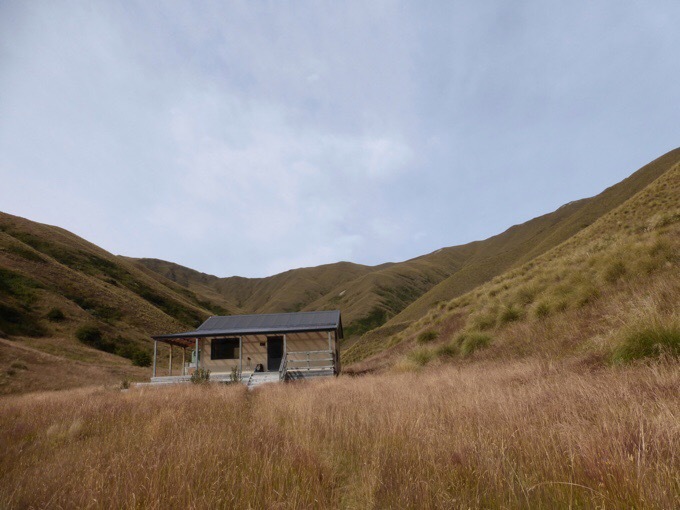 – The South Coast track from Melaleuca to Cockle Creek (about 6 days). 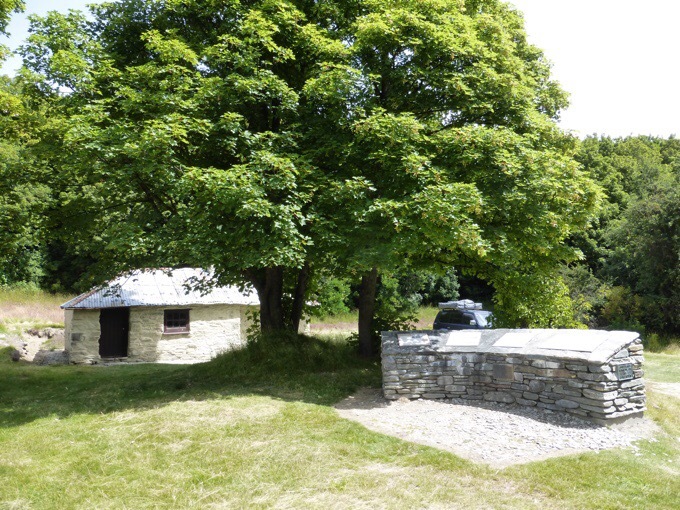 I loved Arrowtown. 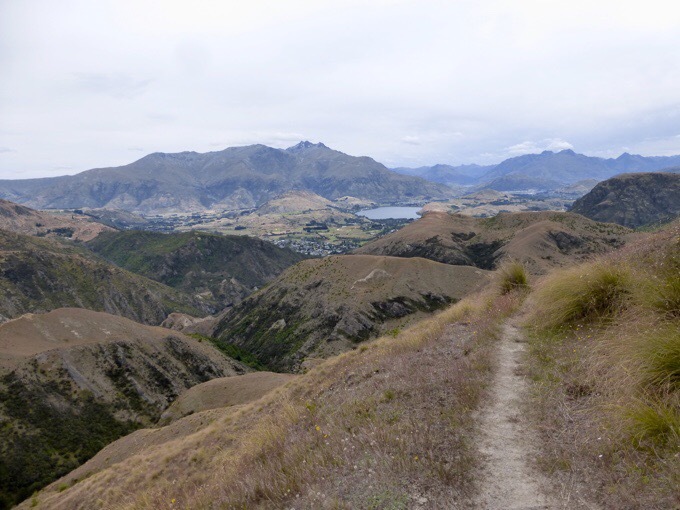 Queenstown – not so much. Te Anau was better. Have you tasted Hokey Pokey ice-cream yet? It is only in New Zealand so give it a try when you are there. I glad to hear you are planning Tasmania. You will love it. Becky and Felix really like it. I’ll have to try it. I’m too attached to chocolate. Do it for the Whales. Really???? Who would steal someones pack. Out there in the middle of nowhere !!! That is awful. It was off the TA and near a road unfortunately. Congrats to you and Griggs. Great looking trail out there. Except the 15k of gain/loss. You two are total motors.